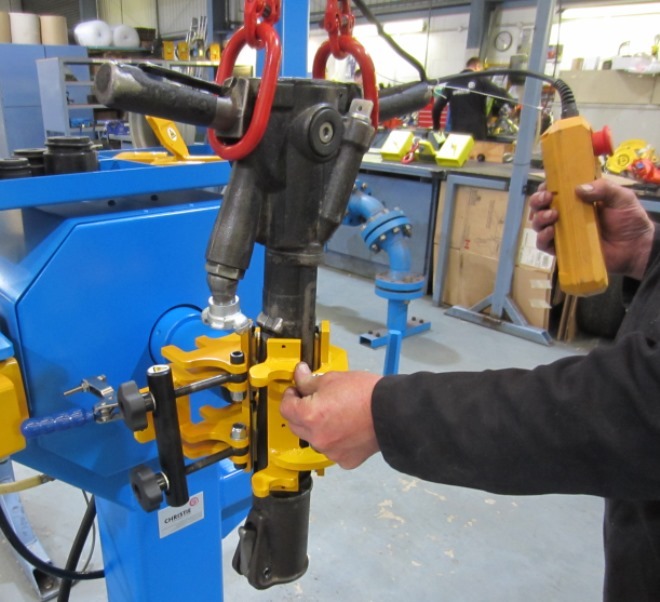 Disassembling and reassembling the Jigger Pick units is difficult due to their weight (~25 Kgs), the complex shape, the torque required (up to 200-300 Nm), and the high manual impact required to remove some of the fixings. 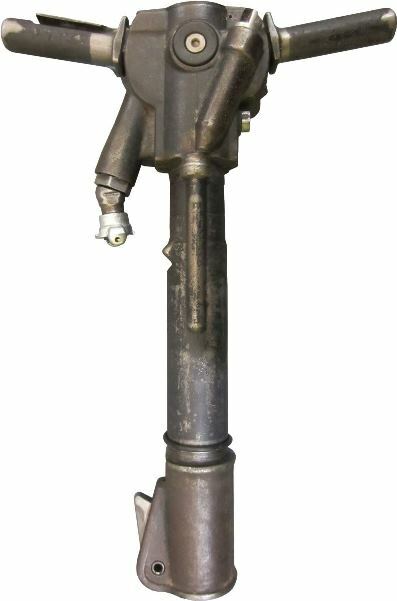 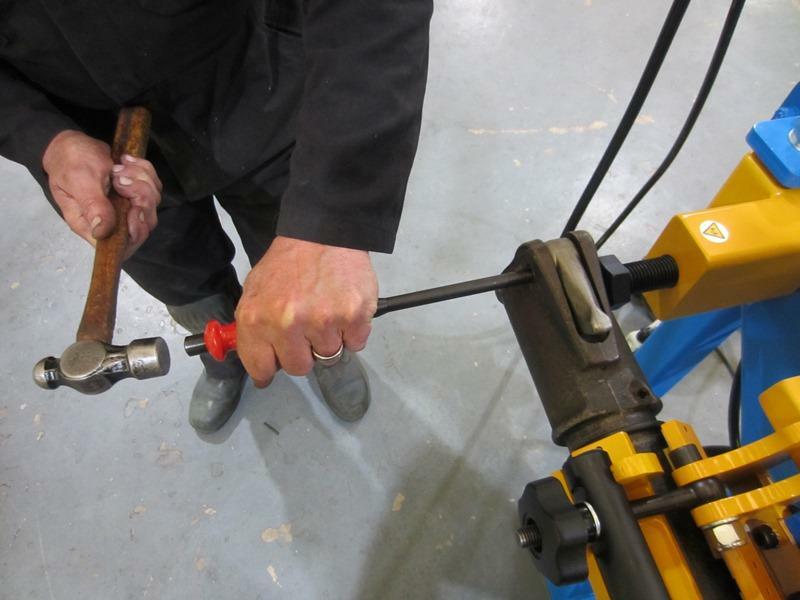 Removal and reattachment of all fasteners, roll pins, c-lock pins, and couplings, therefore requires the Jigger Pick to be held securely in a suitable orientation. 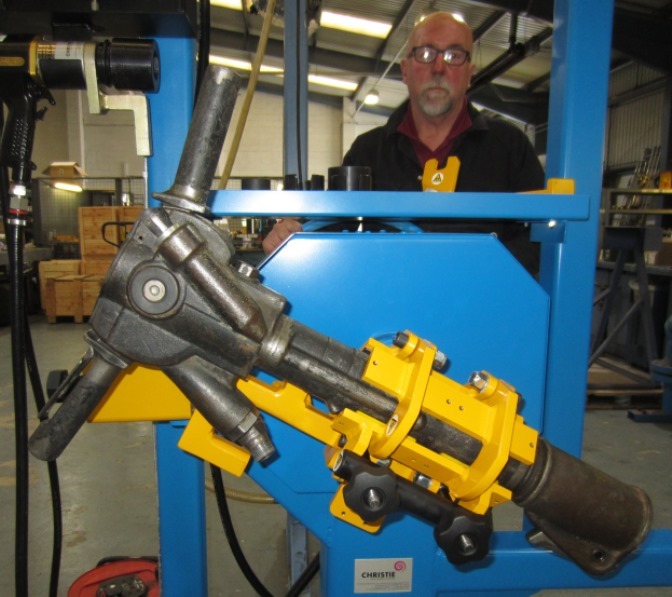 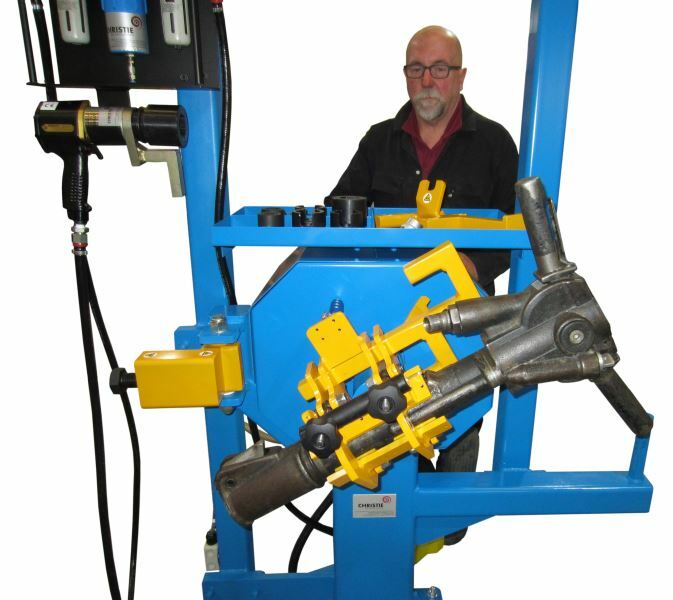 The system incorporates a hoist to remove the need for manual handling, combined with a 360° rotating fixture to allow secure holding and ergonomic positioning of the Jigger Pick for complete strip-down and reassembly of all components. 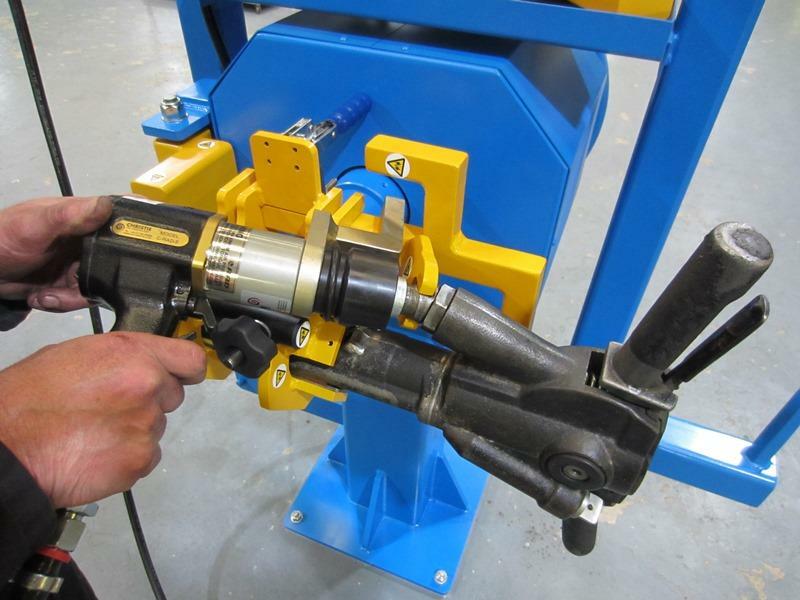 The system also includes a C-RAD 5 (500 Nm) pneumatic torque tool for the removal/refitting of couplings and front end assembly bolt. 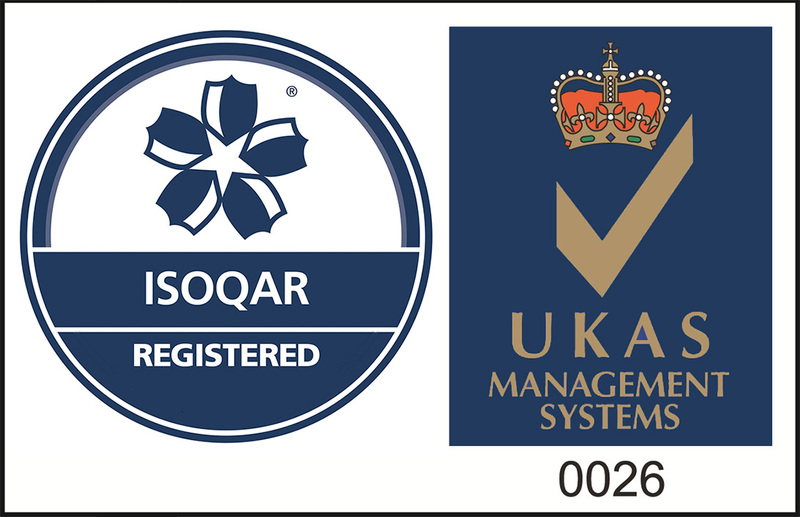 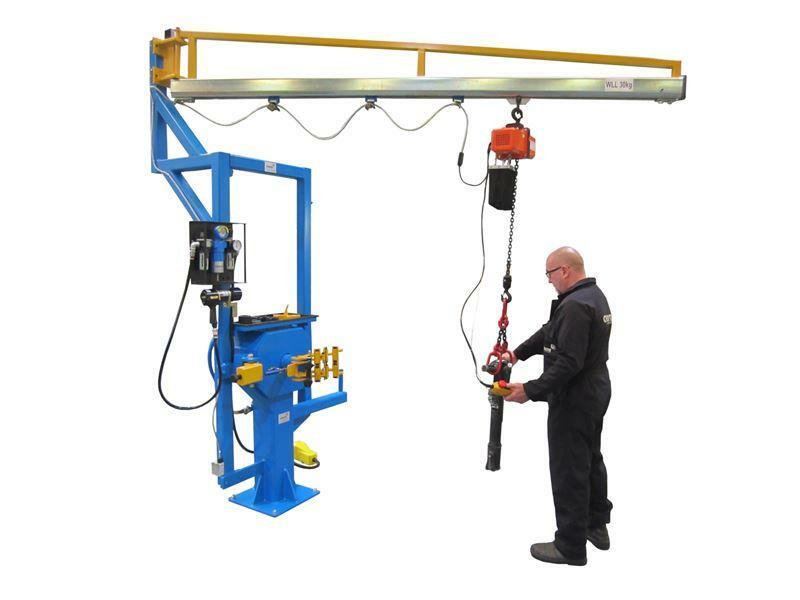 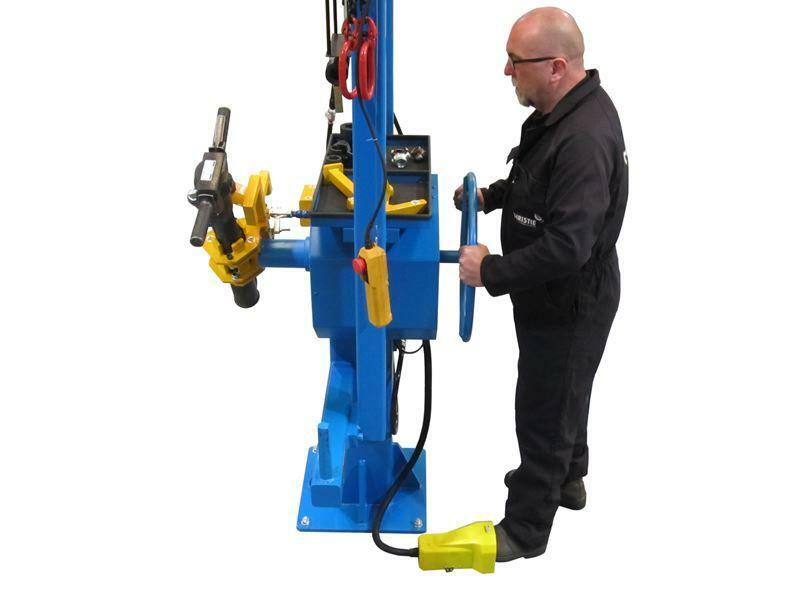 This system can be adapted/redesigned for use in other workshops, to suit your specific handling requirements.